Last updated February 10th, 2019. Cambodia is among the fastest growing countries on the planet. Undervalued and unexplored, multinational firms including Starbucks, Samsung, and Nike have just recently started investing in Cambodia. Many global investors are buying stocks and property in more prominent destinations such as Thailand, thinking they’ve successfully diversified abroad. They’re missing better opportunities right next door though. Don’t get me wrong: I enjoy Thailand and spend a solid part of my time there. But their annual GDP growth rate is only 3.7%. We’re talking about a pace barely higher than the United States and slower than Malaysia, its developed neighbor. Thailand’s economy depends heavily on foreign capital – whether through tourism or FDI. You might assume that an emerging Asian market would be resilient to a financial crisis originating in Europe or the Americas. Yet that would be incorrect. By comparison, Cambodia is growing by over 7% per year. While almost every other country is revising GDP projections downward this year, Cambodia raises it upwards and exceeds already high expectations. Cambodia is less correlated with western economies because of its frontier market status too. Needless to say, diversification is crucial for all investors. That’s why I recommend investing in Cambodia. It skipped the Asian Financial Crisis during the 1990s, missed the tech bubble of the early 2000s, and outgrew the recession in 2008. In fact, it hasn’t faced a recession for nearly three decades. Cambodia probably won’t have one anytime soon either. As a frontier market, it’s not nearly as dependent on capital from abroad. Natural growth drivers including urbanization, formation of new industries, and a rising middle class are more important. They’re not reliant on McDonald’s and its continued offshore expansion to keep growing since McDonald’s isn’t even doing business in Cambodia yet. A chart showing Cambodia’s GDP growth since 1996 compared to the United States and United Kingdom. Furthermore, Cambodia enjoys a source of growth that few other frontier markets do: tourism. money. Millions of tourists visit Angkor Wat, the world’s largest religious structure, every single year. This number is expected to grow exponentially. Different frontier markets like Papua New Guinea or Armenia do not have this luxury. Frontier markets can grow rapidly, but often need a catalyst to propel their growth in the first place. Cambodia is rather fortunate in this regard. They have plenty of foreign investors, tourists, and strong demographics to help fuel a sustained economic boom. How to Invest in Cambodia: Property or Stocks? You hopefully understand why I suggest Cambodia. Now it’s time to learn different ways you’re able to invest here as a foreigner. Cambodia just barely has a stock market. In fact, there are exactly five companies listed on its stock exchange. Many of them are quasi-public corporations such as the water utility provider in the nation’s capital of Phnom Penh. Real estate in Cambodia is a better bet – if you know what you’re doing. Most of the new condo projects are overpriced, yet shophouse apartments are incredible deals in certain areas. 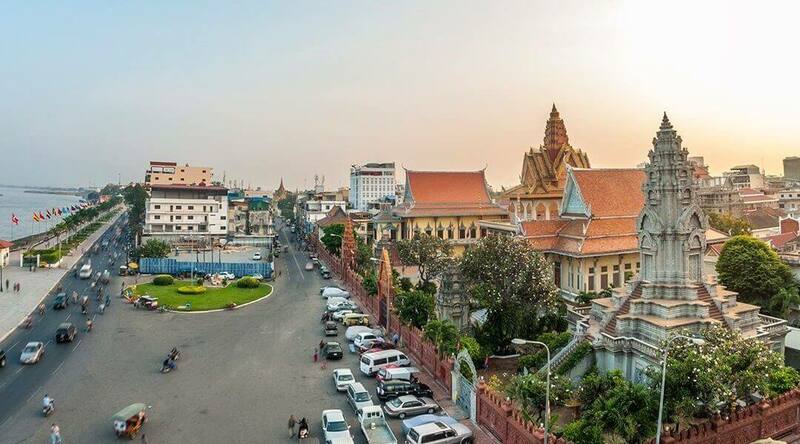 Phnom Penh is also one of few capital cities in the world where you can purchase property for below US$1,000 per square meter. My belief is that prices will only increase from here. Just be careful if you’re buying frontier market real estate because it can prove challenging and labor intensive. Between doing local market analysis in Khmer language, navigating through an unfamiliar legal system, and finding reliable contractors… you should live in Cambodia, at the very minimum, if you want to own property here. Cambodia has opportunities in private equity and venture capital as well. However, getting into that is arguably even harder than buying real estate. You must commit to lots of due diligence and research in a foreign market. 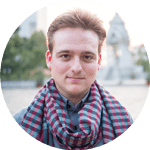 Investing in Cambodia (or any frontier market for that matter) is difficult. Nonetheless, barriers to entry are sometimes a good thing if you’re willing to break them down. They help keep asset valuations fair.